It’s quite common for people to sign up for a new gym at the beginning of the new year, but most people do not stick it out. In fact, only about 20-to-25 percent of gym-goers stay at their given gym for the year, according to the International Health, Racquet and Sportsclub Association (IHRSA). So what steps can you take to ensure that you stay committed to your gym and your fitness resolutions? We at Circuit 31 Fitness believe that the answer is simple: find a gym that you like and feel comfortable working out in. Today, we are going to share our top favorite requirements to go through before you make your final decision. Finding a gym close to home is going to be essential. Even if you really love a gym that is half an hour away, we know you won’t be able to commit to it. All it takes is one bad day of traffic to deter you from even trying to get there, meaning that your whole workout plan is thrown off. In order to pick your perfect gym, first, think about how far you are willing to travel. Then, research all the gyms within that area. Visit at your chosen workout time. Whether you’re going to be an early riser who hits the gym promptly at 5 a.m., or you’d rather wait until after your workday is finished, make sure to visit your gym at the time you will be working out. Your instinct may be to check out the gym on a Saturday afternoon, but will that be an accurate representation of how busy it will be when you really go for a workout? If the place is packed to the point where you have to wait longer than a few minutes for the equipment you want, then that might not be the place for you. How do the machines look? With everyone touching the equipment, gyms are the perfect place for germs to spread. In order to ensure that you are choosing a sanitary facility, you’ll need to check to make sure the staff does more than just mop the floors at the end of the night. When you visit the gym, see if there is a strict policy on wiping down equipment after use, or ask if everything is cleaned at the end of the day. If not, you may want to consider going elsewhere or getting into the habit of using a ton of hand sanitizer. Contracts can get tricky, and many gym goers find themselves on the giving end of complaints when it comes to dealing with their gyms. Get any verbal promises in writing! Also, for those of you who get charged automatically each month for your membership, check your bank statement to make sure that you haven’t been charged any extra fees. Take a close look at the fine print just to be safe! Knowing what you need to do in order to cancel your membership could be essential to getting out of your contract should you move or have a hard time fitting the gym into your schedule. If everyone there seems to be a bodybuilder, but you’re looking for a more laid-back gym, then perhaps this isn’t the place for you. Also, if all the training options and suggestions take two hours, and you know you only have about half an hour for your workouts, then you may need to consider another option. 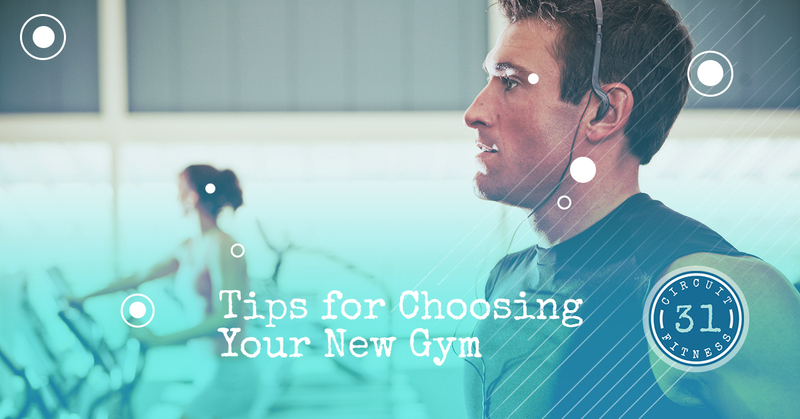 Find out what the target demographic is for that specific gym and see if you are a good fit. You won’t want to work out anywhere you don’t feel welcome. Find a good mix of equipment. If your possible gym only has treadmills, and you are looking for a strength training program, it’s pretty clear that they don’t have the equipment you need to succeed. Find out what the goal is of the gym and see if it’s a good fit for you! Also, check to see who made the equipment. While one brand might make a great weight rack, their ellipticals may leave a lot to be desired. Doing some research ahead of time will help you determine how well-equipped this gym is to handle differing fitness needs. If you are looking for a gym in Allen to help you reach your fitness goals, then we believe we have the perfect spot for you. Stop in today to learn more about what we are all about! With an ever-changing circuit training program that takes only 31 minutes to complete, you will be in and out of our facility in no time. We look forward to seeing you and helping you on your way towards your fitness goals!